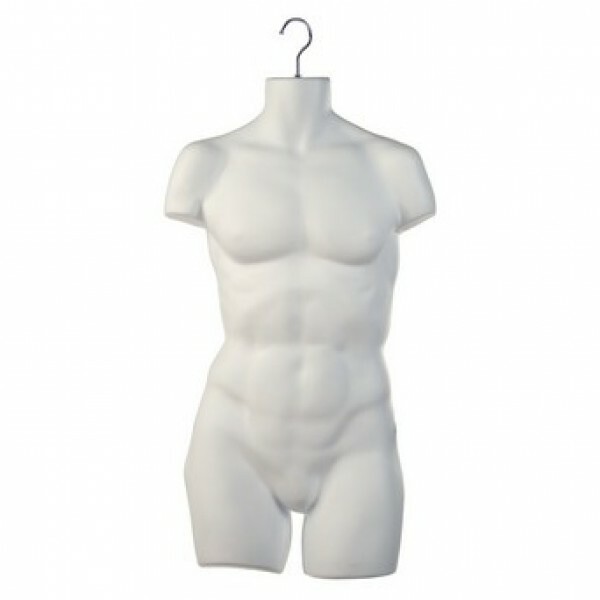 Men's hanging torso is a durable metal hooks to hang merchandise having white finish to fit any arrangement. It is light weighted which makes it easy to transport whenever needed. 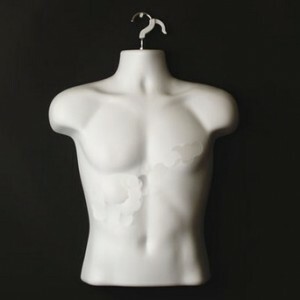 Mostly used in shop for displaying t-shirts, sweatshirts, blouses and many more.